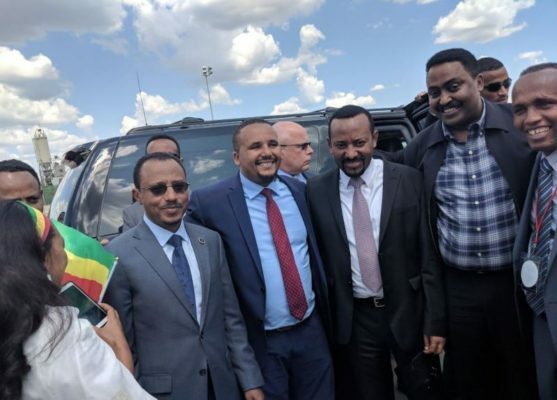 I think the solution is clear (though whether it can work is another matter): Abiy and Lemma should jettison EPRDF, join forces with liberals and “patriotic unionists” in the opposition, and form a new political movement. The Front is riven with contradictions to the point it no longer functions as a coherent entity: ADP and ODP are challenged by ethno-nationalists, SEPDM is teetering on the brink of implosion, and TPLF has categorically refused to get along with the program. You are correct in noting that if things continue on their current path Abiy may very well be denied a parliamentary majority despite his apparent popularity. Likewise I think existing “patriotic/pan-Ethiopian” opposition parties may find themselves splitting the vote with ADP and ODP come 2020 in the absence of a united front. One wonders if the seeds for such collaboration are already being laid through the appointment of opposition figures to key political (patronage?) posts. You have to hope.